I am an unapologetic science geek. I love science museums, especially the paleontology wings. 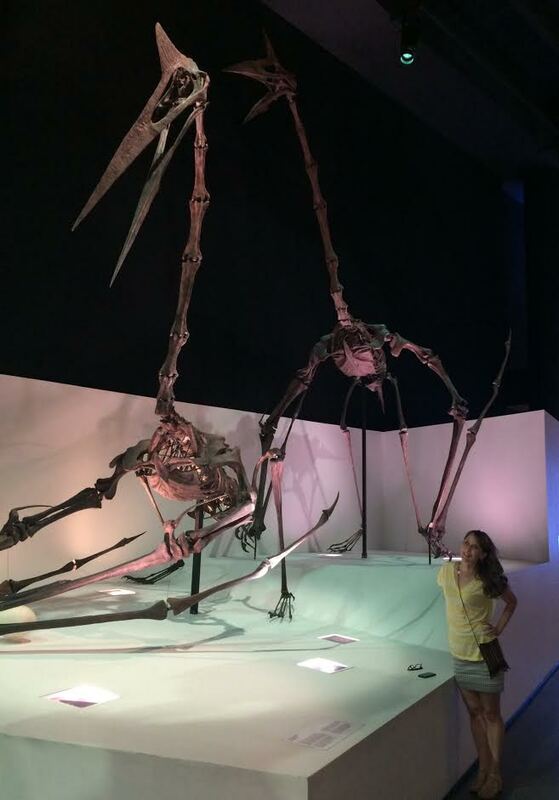 Pterosaurs are my favorite. I teach Biology in a large public university. I love to speak and write at the intersection of science, culture, and faith. Dr. Janet Ray is currently an adjunct clinical assistant professor at the University of North Texas in the Department of Biological Sciences. She holds a Ph.D. in Curriculum and Instruction from the University of North Texas, a M.Ed. in Gifted Education from Hardin-Simmons University and a B.S.Ed. in biology from Abilene Christian University. I love this Janet thank you!! I have come across your site almost by accident. Thank you for it and the way you are dealing with the issues of Christianity and Science. There is a serious problem when there is no room to properly work in Science, especially the biological sciences and with some who promote YEC (Young Earth Creationists) etc. Re the distribution of H. sapiens across the world, I am often stunned by the ignorance of (yes I am only 5 generations Australian and 6 Generations American and have talks with my US cousins), many in the USA and European of the history of humans in Australia and of the significant time they have been here. > 65,000 BP. While the DNA of the Australian Aboriginal peoples has not been fully sorted out, it will be interesting to see how humans got here, and with whom did they mate with and where. Couple this with the range of unique to Australia species of life here, and I as a retired Agricultural Weeds Scientist find it hard to understand the extremely hard line that the YEC group (heretics?) has taken. RE rapid evolution – keep a track of the rise of herbicide resistant weeds in our crops. Also the breakdown of disease resistance in crops as well. We lost a novel highly effective herbicide in as few as 7 applications – one each crop, just one application in 3- 4 years, and in the process found that other new at the time products which killed the weed in a different way also then failed to work. Back to the Lab! let’s try X-Rays next. Yet the story of the Garden of Eden suggests that as we are not God, we cannot anticipate what will happen so do not be surprised if your innovations fail. That story talks about weeds – plants which must innovate to succeed. Get an Agriculturalist to explain some of the range of systems some weeds use to remain in the system. Me just a Creation Scientist who attends a Baptist Church. God Created, now one of the biggest games in town is How was it done. Next, how should we as humans care for Creation. Thanks for reading! I appreciate your comments. Thanks for your blog. I stumbled across it while researching a piece (aka, running down a fascinating rabbit hole) for my graduate thesis (MA applied theology). I am at Western University in London, Ontario, Canada. Reading your blog with great interest. My own background is in systems engineering, then youth ministry, education and theology. I was the director of a youth theology summer academy at an Anglican seminary (Episcopal, in USA-speak) for about 15 years. My thesis doesn’t have a snazzy title yet, but it is examining contemporary discourses in science and theology and how those might impact Christian education and faith formation with youth and young adults. I’m probably not palatable to the majority of scholars in this field in that I am trying to push the boundaries a bit on how we actually approach Christian Education in a postmodern, technological and pluralist society (eg, I take John Polkinghorne to task for engaging the discourse as a crypto-apologetic for orthodoxy). I emerge somewhere in the land of process theology (Whitehead, VanHuyssteen, and lately, Suchoki). Interesting to read how you encounter these engagements with your students, particularly your most recent post about tinkering (nice ‘complete the sentence’ question!). Will continue to read, thanks. Happy to share stuff too, if you’re interested. PS – is the photo of you and (allosaurus?) on your ‘About’ page from the Royal Tyrrell Museum? Thanks for reading! And Yes! I would love to follow you – I am also a theology nerd! How do I find your twitter/blog? And YES again! It is the Royal Tyrrell! I visited last summer and I’m in love. I spent two days there and it was not enough.